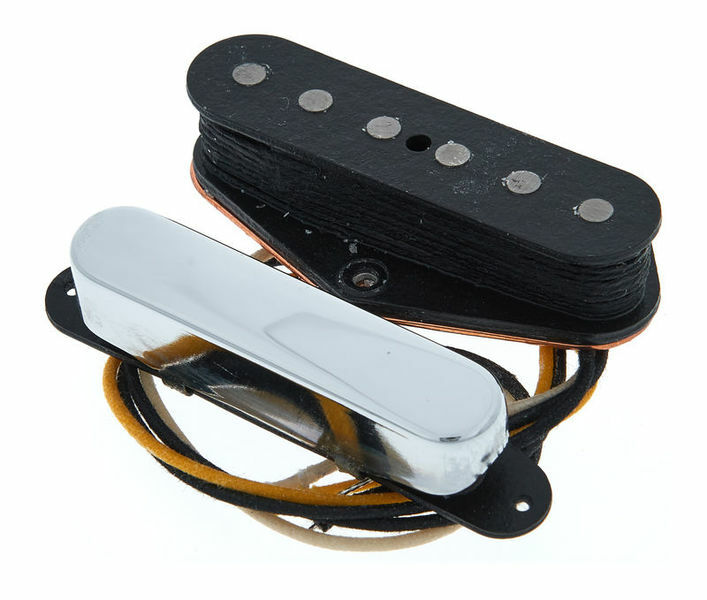 Yeah - these are the Real Deal in Telecaster pickups! (Marked 52 on the underside)(At least if you want the original sound) The clean crispness is all there, the unique twang, but without boosted output and overdrive and without boosted mids. It all depends on what you want. If you want boosted mids and more bite the Nocaster '51 set may be a better choice, or higher hotter output try the Texas specials. Fender give these a rating on a scale of 1-10 for bass, middle, treble of 7-4-4 Neck and again 7-4-4 Bridge. Good Fat Warm Early Tele sound.. Think Raunchy Keef,rather than thinner later Tele Tones..
Good for Clean and Crunchy Classic Rock Tones..
Can Still do Country and Rockabilly etc..It still cuts,the pickups I replaced were Texas Special Tele,which I think are awful,no power to drive the amp on the B and high E strings..Turn the tone control back a bit things fatten on the original vintage Tele and start to get into lower output Humbucker tone.. I have 3 Teles with these in them..
2 Teles over 10 years old.. I find often for some reason fresh pickups seem to have a frequency spike that seems to calm down after a while.. I don't know if this is against the laws of physics or not,but it seems to happen with me...The newer set has this spike..The sound of the 2 older sets is a definite 5 or I wouldn't have bought this set..
ID: 221232 © 1996–2019 Thomann GmbH Thomann loves you, because you rock!